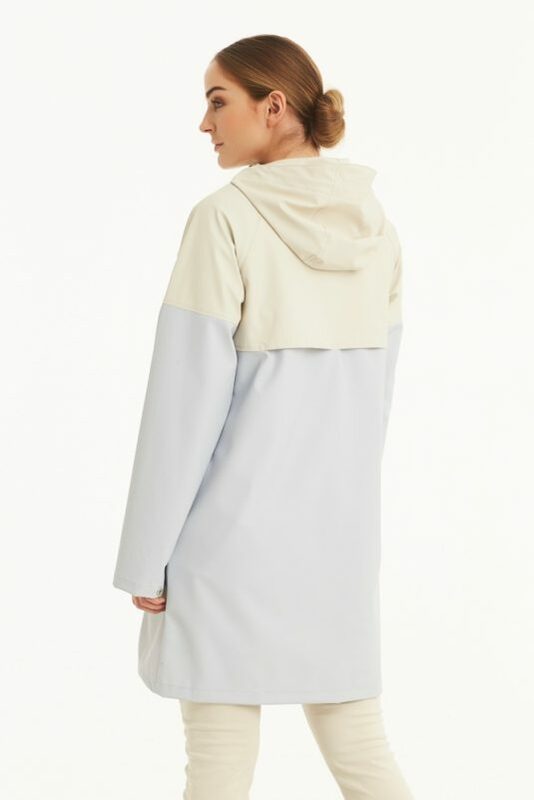 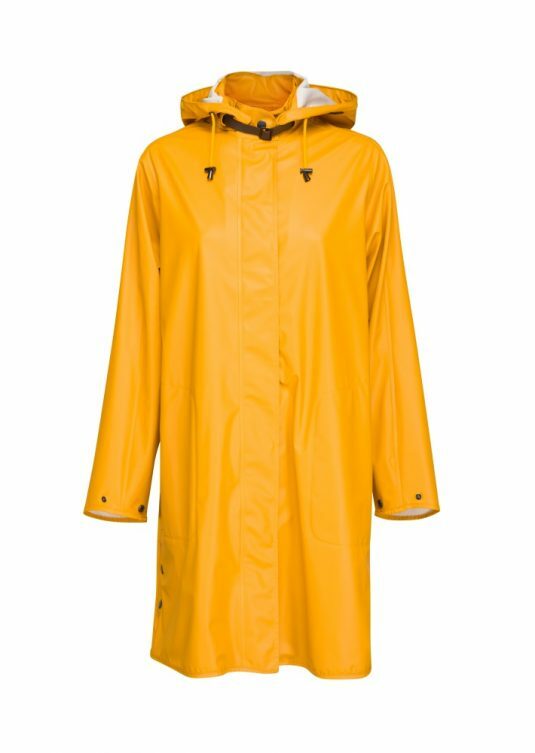 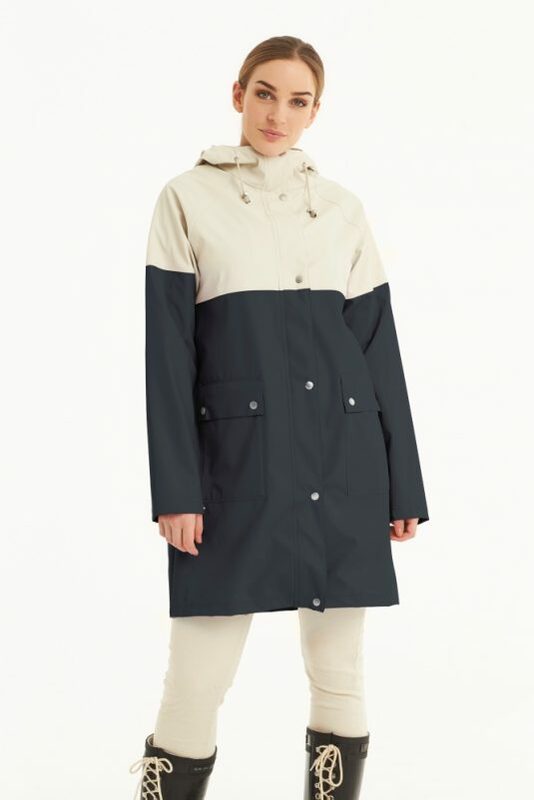 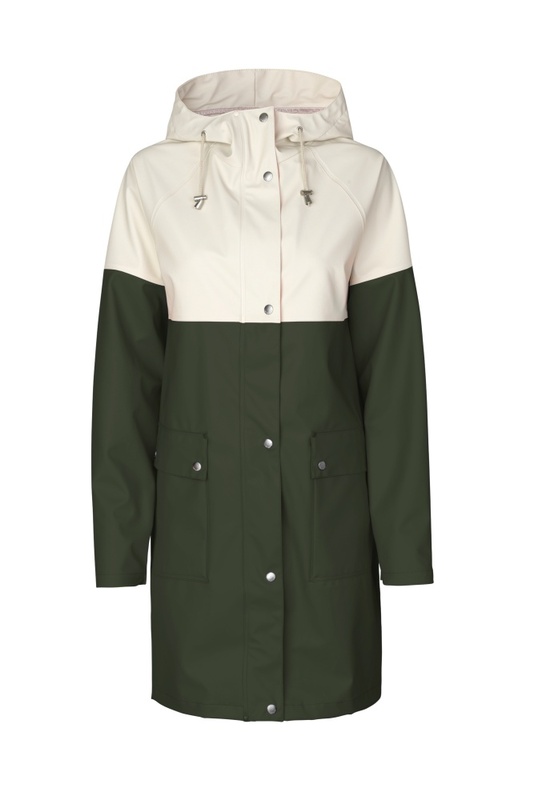 A beautiful three-quarter length raincoat from Ilse Jacobsen, straight cut falling to just above the knee. Featuring many classic Ilse Jacobsen touches – debossed logo, patch pockets, and a two way zip and strong press studs securing the storm flap. 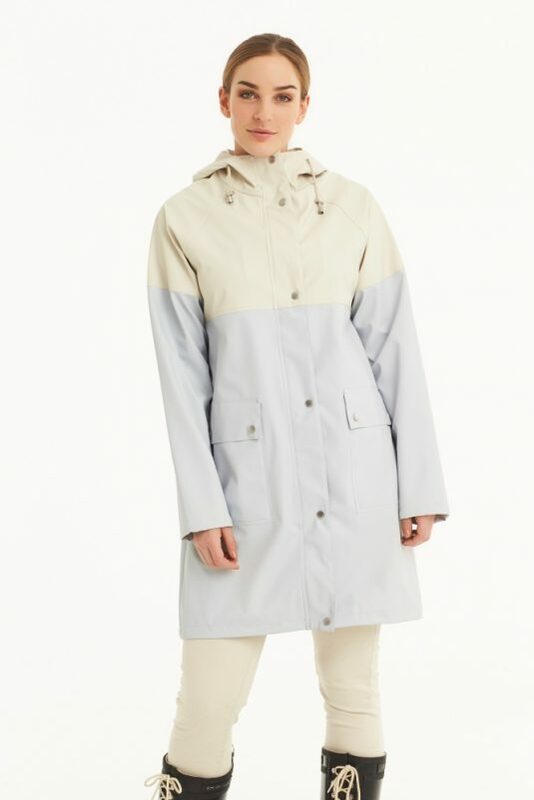 It’s the perfect year-round raincoat, the fit allows layering for warmth when the weather turns cooler. 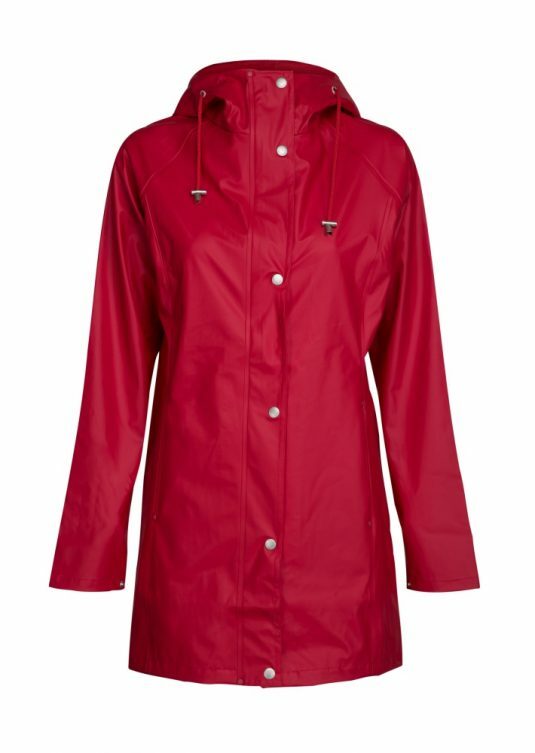 This lovely style is also available in other colours to order – please contact us for details. 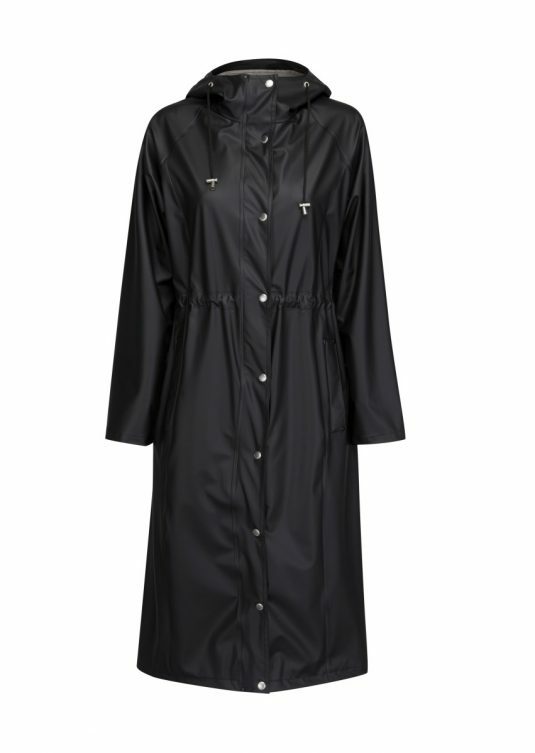 This lovely three-quarter length style from Ilse Jacobsen is light and feminine. 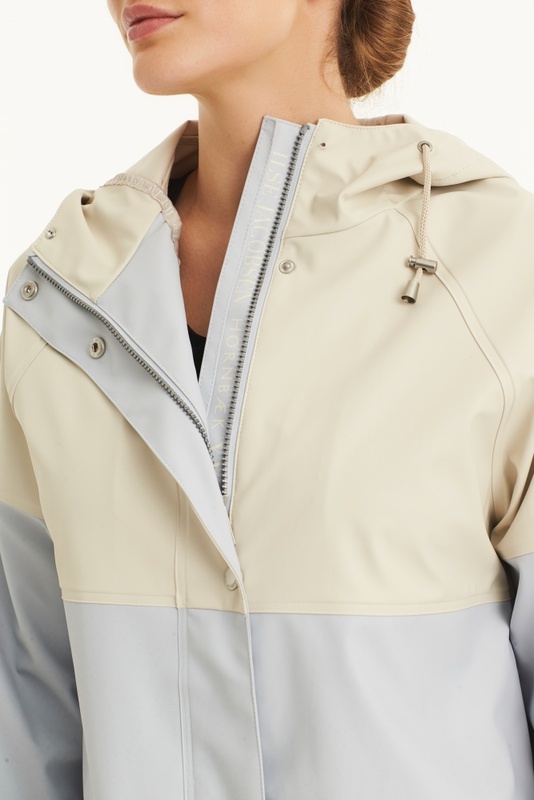 The style features a soft, smooth waterproof rubberised polyurethane outer fabric with a comfortable polyester tricot inner face, welded seams for great waterproofing, a functional hood, cuff adjustments, front patch pockets and a 2-way centre front zipper and front poppers. 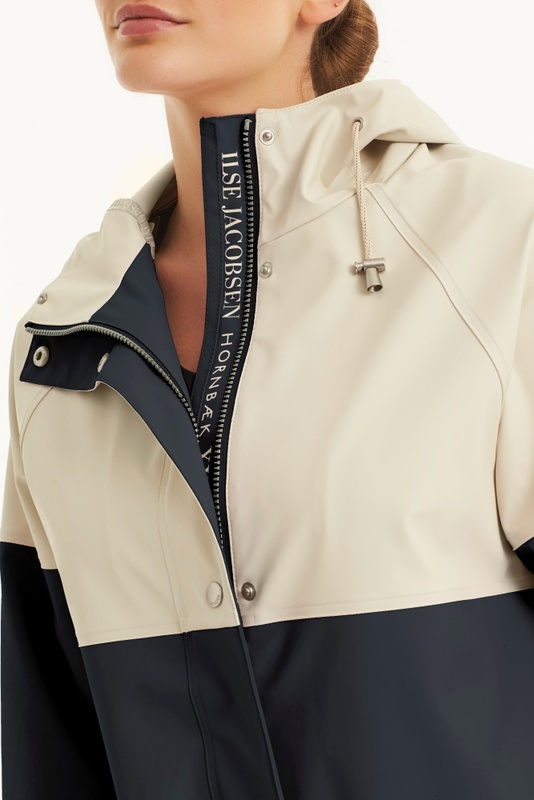 Inside, the style has a beautiful finish with matching ribbon including Ilse Jacobsen’s 25th anniversary logo. 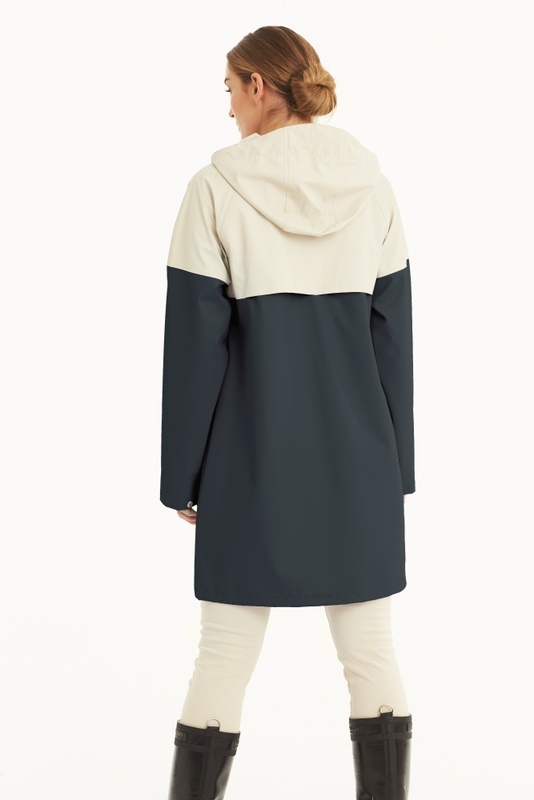 The style is a loose fit to allow for layering, if you are between sizes, we would suggest ordering the smaller size. 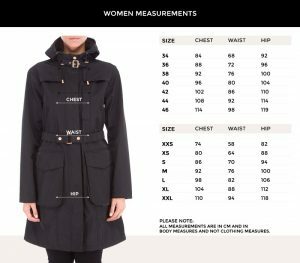 All Ilse Jacobsen products are developed and tested to meet the highest standards in functionality, comfort, and design. Wash in warm water, turn inside out, no fabric softener, use cloth to remove moisture after washing.